He's the CEO and founder of Outreach, a fantastic sales enablement and sales engagement and acceleration platform. We have a great discussion... at one point I tell Manny, "You're opening up the kimono a little bit, things that not everyone thinks about or has to experience but I appreciate you sharing..."
You'll love Manny's answer to this question: "What should companies be looking for? What should sales leaders be looking for in platforms to ensure they're getting results and ensure that it's additive to their productivity versus negative?" 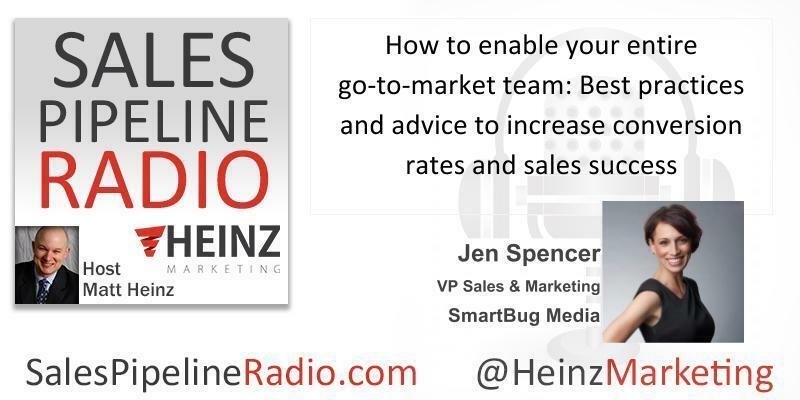 You'll also hear what he thinks is one of the most common mistakes he sees sales operations teams make. And, listen to the end to hear some great examples about a couple of their core values: Grit and Diversity. 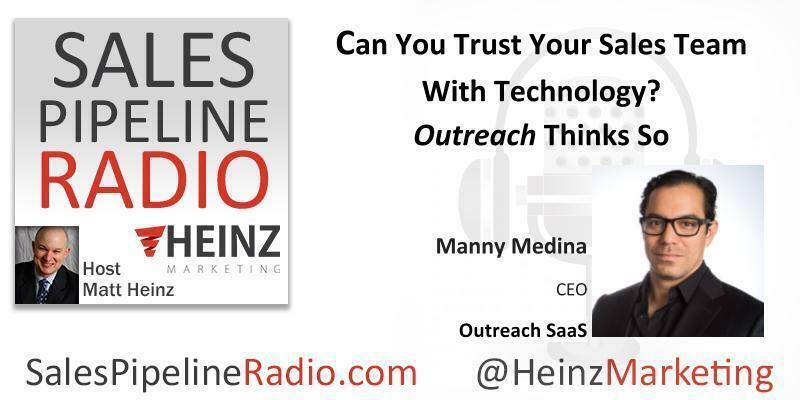 Manny co-founded Outreach in 2014 and now serves as CEO. Prior to Outreach, Manny was employee number three on Amazon’s AWS team, and led the Microsoft mobile division from launch to $50M in annual revenue. He holds an MBA from Harvard and a Masters in Computer Science from the University of Pennsylvania. Manny is a model of vulnerable and transparent leadership to his employees, from his heartfelt weekly email to his employees, to the traditional Friday get-together where the whole company shares their highs and lows of the week. He is a proponent of saving the planet by consuming less and purchasing second-hand whenever possible (he might be the only CEO to take the stage at industry events in shirts purchased from Goodwill). Manny grew up in Ecuador and now lives with his wife and three children in Seattle. Reviewing your pipeline, making sure you have your fundamentals in place, taking a look at what’s working and making sure your reps and your team are performing optimally...all are vital to your sales success. Today’s guest, Steve Richard, is a perfect fit for our recent conversations. Sales managers should be identifying what reps could be doing in the field to improve - more isn’t always better. The conversations sales reps have with customers is an asset. Get them into your CRM system. 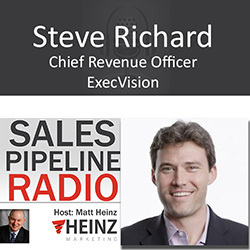 Get Steve’s advice on how to coach your sales reps and make sure they are taking ownership of their own work - listen to one of your own sales calls per week. Cull the time spent on coaching. Even the best need coaching - continual improvement is the key. Ask yourself: What do my best reps do differently? This is a powerful episode filled with actionable tips for making the most out of your reps’ sales calls. Don’t miss it!